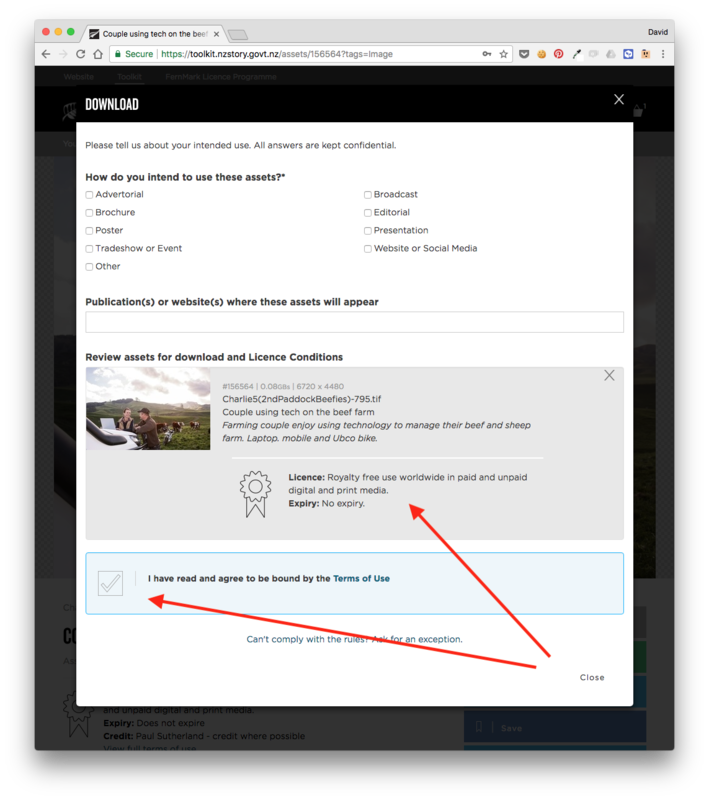 Whenever a User views an Asset Detail page or Downloads or Shares an Asset we display the Asset's pertinent Asset Licence information, Usage, and Expiry date (depending on whether that data has been entered by Admins). 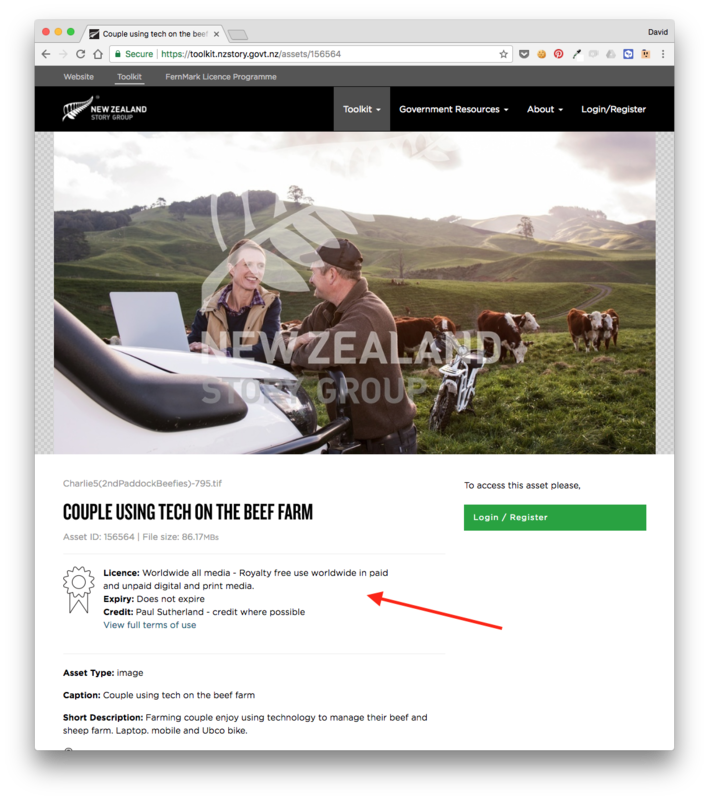 Example: NZ Story Asset detail page showing Licence and Credit information. 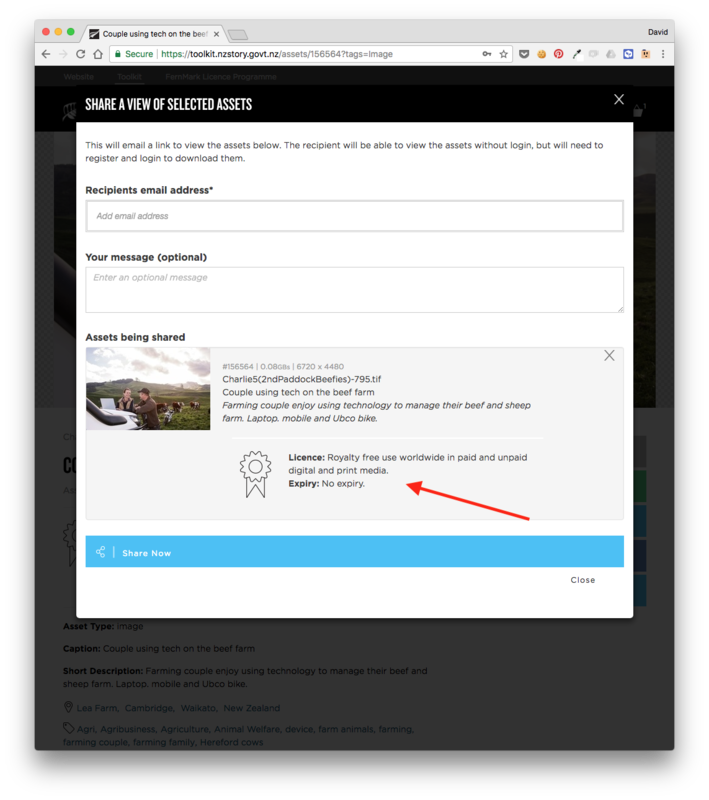 Example: NZ Story Download dialogue (for the same Asset used in the previous example) - showing the Licence info and Terms acceptance. Once the Asset Licence is created it becomes a lookup field and can be allocated to an Asset or a batch of Assets (via Batch Editing). Asset Licence is also used to control visibility for User Roles. You can also optionally enter the following on a per Asset basis. Contact Brandkit Support to setup Asset Licences for your account.